On September 28, Reprise Records will release "An American Treasure" — a career-spanning Tom Petty box set. The 60-track set unveils dozens of previously unreleased recordings, alternate versions of classic songs, rarities, historic live performances and deep tracks that spotlight Tom's remarkable depth and evolution as a revered and tremendously influential songwriter, recording artist and performer. "An American Treasure" marks the first release of Tom Petty music since the artist's tragic passing in October 2017. 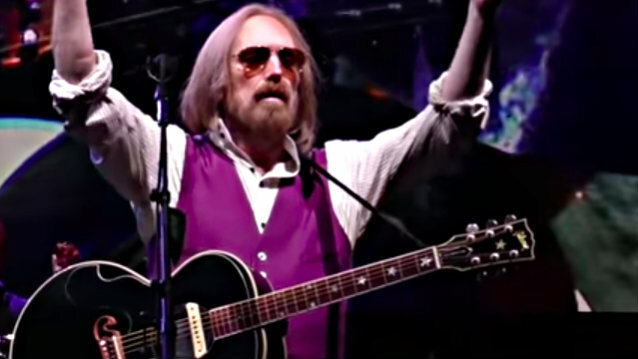 The first single from "An American Treasure" is "Keep A Little Soul" — a previously unreleased recording from 1982 sessions that resulted in TOM PETTY & THE HEARTBREAKERS' classic album "Long After Dark". Watch the video featuring rare never-before-seen footage of the band below. The song is also available today with box set pre-order. To add to the celebration of this announcement, a newly redesigned web site at TomPetty.com has been launched. Tom's daughter, Adria Petty, and his wife, Dana Petty, were the primary catalysts for the commission, creation and release of "An American Treasure" — a tribute and love letter pointing to the music in between the hits, and a strong musical portrait of the person they know in their hearts. Adria and Dana both serve as the project's executive producers, and, together with Tom's bandmates of 45 years, Mike Campbell and Benmont Tench, and his studio collaborator, Ryan Ulyate, curated the box set's track list from Petty's rich song catalog. Campbell, Tench and Ulyate also produced "An American Treasure". The creation of "An American Treasure" was a true labor of love, as Adria Petty and Dana Petty explain: "Everyone involved in this project chose each track with tremendous care and deep respect for the body of work Tom Petty created over the course of 40 years. He also accumulated a wealth of unreleased music in his vaults, and we have collectively uncovered one gem after another that will keep us all listening and discovering new facets of Tom's talent for many years to come. We can't wait to share with Tom's fans this musical portrait of an artist who deeply affected our culture and indelibly touched the lives of fans the world over." 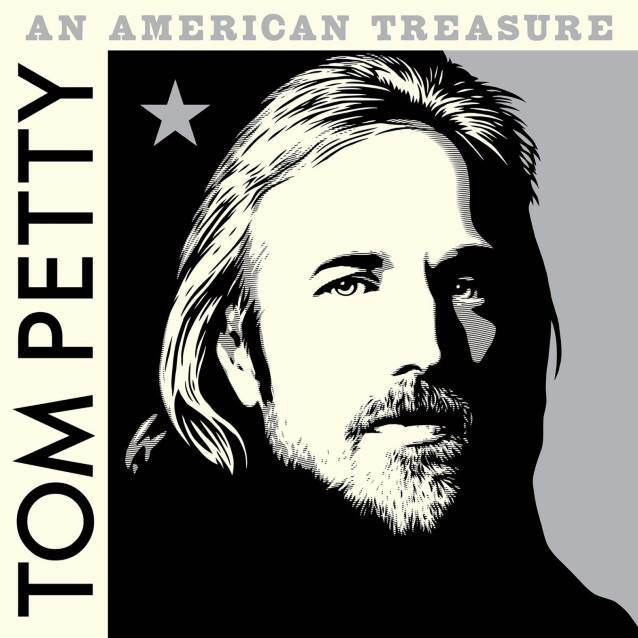 The custom cover artwork for "An American Treasure" was created by prominent American artist Shepard Fairey from an image of Petty by renowned photographer Mark Seliger. * "An American Treasure: Deluxe Edition" — A 4-CD set that features all 60 tracks, plus a 52-page booklet with rare and previously unseen photographs of Tom, his bandmates, family and friends. The booklet also features detailed track-by-track liner notes by noted journalist and Tom Petty aficionado Bud Scoppa, who drew upon his previous interviews with Tom and new conversations with Mike Campbell, Benmont Tench and Ryan Ulyate, as well as Adria and Dana Petty. * "An American Treasure: Super Deluxe Limited Edition" — A 4-CD set that features all 60 tracks and an 84-page hardbound book expanded from the Deluxe Edition to include many additional photographs and an essay by renowned author Nicholas Dawidoff — written especially for "An American Treasure" — that speaks to Tom Petty's presence in our lives and influence on our culture for more than 40 years. This special package also includes a newly-created lithograph of Shepard Fairey's cover artwork, as well as custom reproductions of Tom Petty's handwritten lyrics to four songs featured in this collection and a numbered certificate of authenticity. * "An American Treasure: Vinyl Edition" — A 6-LP set that features all 60 tracks and a 48-page booklet containing all of the photographic and editorial elements found in the CD Deluxe Edition. This set also includes the Nicholas Dawidoff essay. This special vinyl edition will be released on Friday, November 23, but is available for pre-order now. * "An American Treasure: Standard Edition" — A 2-CD set that features 26 career spanning tracks chosen from the Deluxe editions, as well as Bud Scoppa's detailed track-by-track. All newly released recordings on "An American Treasure" have been mixed by Ryan Ulyate from pristine transfers of the original studio multitrack masters. All 60 recordings have been re-mastered for this collection by Chris Bellman at Bernie Grundman Mastering.